I've been trying to get back into reading for a while now... to no avail. My goal to read 20 books in 2015 languished on Goodreads at the low measly number of 2 books. 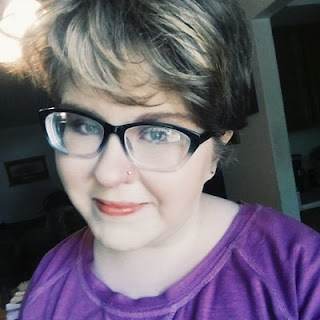 Then along came Sarah Munson, who created the Fangirl Initiative Summer Reading Mission. Posted yesterday, it contains 15 awesome categories that will help you choose what to read this summer. (And there are prizes!) This challenge was 100% Sarah's idea and hard work, and it's a BRILLIANT idea if I say so myself. So I wanted to announce my intentions of participating, as well as invite you to join us. 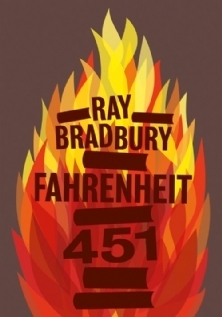 This summer reading challenge could be the thing to reinvigorate my reading this year. So in my best attempt at being a book blogger, here are my summer reading plans. Why I chose it: While I go by Sky on my blog, my real name is actually Kylie. I found this book via Cait @ Paper Fury's awesome archive of book reviews. While I don't know much about this book, the atmosphere seems great and I'm excited to give it a try. A book with a color in the title. 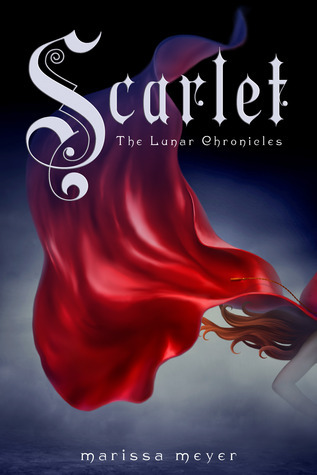 Why I chose it: This is the second book in The Lunar Chronicles, the first book of which I will also be reading in this challenge. It seems natural that I'd like to read it as well, so we're gonna go for it. A book that's been sitting on your shelf for more than a year. Why I chose it: While I don't actually own this book, it's been on my Goodreads shelf for over a year. I tried reading a while back but shamefully had to take it back to the library before I was finished with it. So I'm going to try it again! 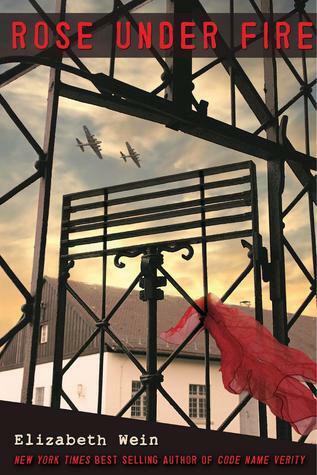 A book that is historical fiction. 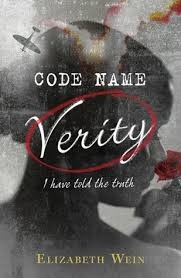 Why I chose it: Because I thought maybe if I enjoyed Code Name Verity, I'd want to read this one! This too is a sequel to another book in this challenge. I'm hoping reading the first books goes well because otherwise I have an unavoidable dilemma. A book you picked for the cover. A book that's first in a series. Why I chose it: This was one of Sarah's recommendations in the introduction post for the reading challenge, so I kept it! It's been on my TBR list for forever anyway, and I had recently put it on hold at the library. Win-win. A book involving time travel. Why I chose it: I feel like I've heard of this book, but I don't remember what exactly was said. 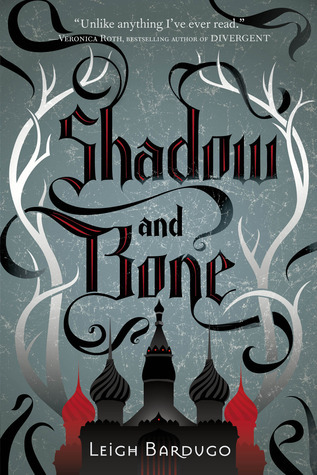 Regardless, I have a vague positive impression about it... and the cover was pretty. A book featuring a love triangle. 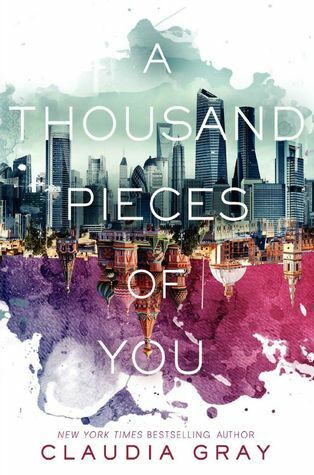 Why I chose it: Apparently this has a love triangle, at least according to Goodreads. Maybe it doesn't surface till later books in the series--if it does, don't stone me! But seriously, I've been meaning to read this for a while. Why I chose it: I've wanted to read this book about the future for forever, so I feel that there is no time but the present. Seriously though, dystopic world involving books? Right up my alley. I hope it does not disappoint. A book with more than 400 pages. A book narrated by a guy. Why I chose it: I've heard a lot about this book, so in honor of the movie coming up, I'm going to give this a shot. A book retelling a fairy tale. 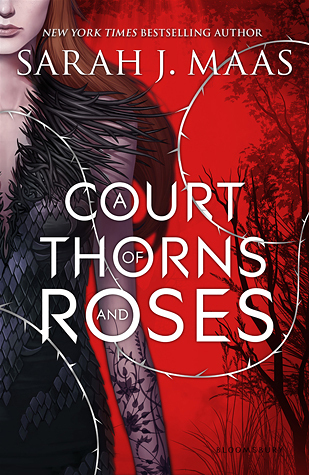 Why I chose it: I loved the cover and I've heard good things about Sarah J. Maas. A book that is a classic. Why I chose it: I've been meaning to read this for forever. Let's do this. A book outside your usual favorite genres. Ty Buchanan is a rising star in his L.A. law firm, until the suspicious death of his fiancee forces him into the underbelly of the city to discover the truth behind her death. He soon has more than his career on the line, as he finds himself tangled up with a mysterious group of former gang members, and becomes the target of a killer. Why I chose it: I loved James Scott Bell's books about writing (The Art of War for Writers and Plot and Structure in particular.) I've been meaning to read one of his books since I read his non-fiction. I also don't read many mysteries or thrillers, so it's a perfect fit. I'm reading this particular book because I liked it best out of the ones I saw, and because the world doesn't have enough characters named Ty. 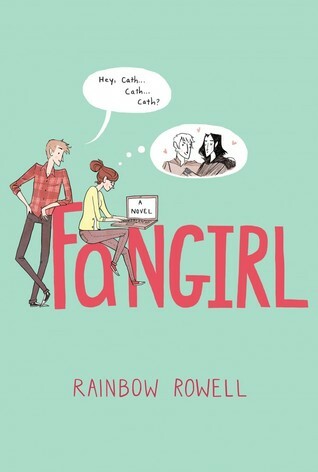 A book recommended by a friend or fellow fangirl! Why I chose it: I planned to read this before the challenge began, because it was recommended to me by my friend Caroline. I've read a bit of it in eBook form but plan to get it as an actual book and finish it in earnest. I liked what I read, though. Whew! Fingers crossed I can get through all of these awesome works of fiction. If you want to join us, click here for the details. Tag us in pictures of the books you choose at our Instagram! And if you want to keep up with my progress specifically, you can add me at my Goodreads here. Okay, now I want to hear from you. Will you do the Summer Reading Mission with us? Have you read any books I mentioned? Omg this is such a GREAT idea. WOW. I'm totally tempted except I'm doing a book challenge with my Aussie reading club too. Gah. AND trying to do more writing...but seriously they're such good prompts to fill! I really really love Paper Towns and and Scarlet/Cinder and ZOMG ELIZABETH WEIN MAY MAKE YOU CRY. I absolutely bawled in Code Name Verity. With the audio, that is, I couldnt' get into it with the book because of aaall the plane stuff. They're both 5-star reads for me, but I think Rose Under Fire is better. 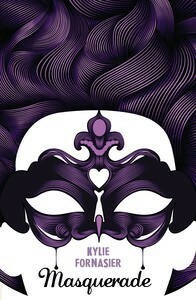 ;-) AHHH I hope you like Masquerade!! Thanks, Cait! Oh my gosh, yes. I'm SO looking forward to reading them. Thanks for the excited feedback! Also, the sad thing is, after I posted this I realized that my library doesn't carry Masquerade and the only way I can read it is to purchase the eBook version. So I'm trying to figure out whether I'll do that. Otherwise, though, I'm ready and raring to go! I'm thinking about doing this now. Maybe? I've already read a few books this summer that could fit into these categories. The time travel one would get me, though. 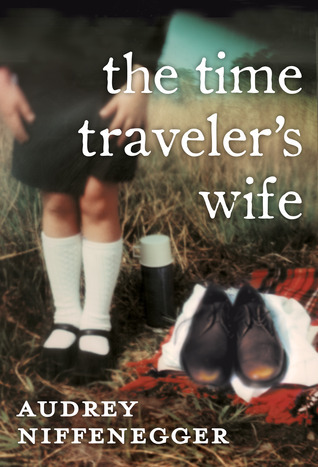 I've already read The Time Traveler's Wife (and I love it! It's such a unique story and I could not image writing it because everything is woven together so intricately), so it might be hard for me to find another book for that category. 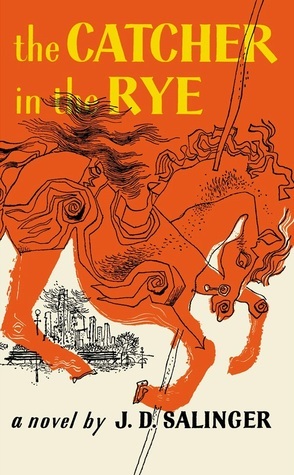 The Catcher in the Rye is great and doesn't read like a classic at all. It has more of a YA feel to it. 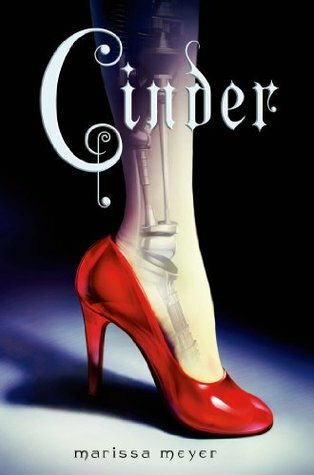 I just finished reading Cinder and loved it! I'm currently on Scarlet but it's been a slow start. We'd love it if you joined us! I know what you mean. 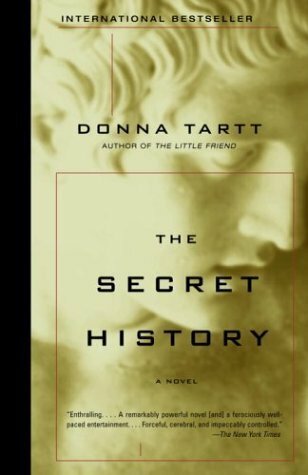 Finding a time travel book was hard--I don't know why there aren't more out there? You'd think there would be a lot. I've heard similar things about The Catcher In the Rye! I'm looking forward to reading all of these! Thanks for the comment and the good luck wishes! Thanks so much, Topaz! Glad I'm not the only one lacking in my reading. It's so sad! I wish you much luck in your reading this summer! And oh my goodness yay! I'm extra-excited to read that one now. I'll have to post what I think. <3 Thank you TONS for commenting! You picked such fantastic sounding books for this, Sky! It's pretty sad that I haven't finalized my reading list yet. I may be a copycat and steal a few of your selections ;) I'm so excited you're taking part in this. I can't wait to hear your thoughts on all these lovely reads! Thanks, Sarah! Oh, please, steal away! And thank you, I'm so excited you made this and that I get to take part! I'm looking forward to seeing what you think of your TBR pile, too. Thank you so much for doing this! I would love that! We should compare notes. I agree, the cover is so gorgeous. 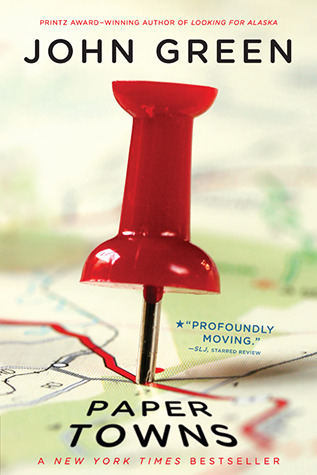 And I'll be reading Paper Towns like you will, so I'm excited to compare thoughts on that as well! I'M EXCITED TOO. I'm so glad you're joining in!